Anti-gay groups in Russia have sued Madonna for over $10 million. The groups have sued the Queen of Pop for "moral damage suffered by St. Petersburg residents" during her concert in the city. According to one of the lawyers of the groups, Alexander Pochuyev, those who have attended the concert and have seen the videos have suffered "psychological stress and emotional shock" because of her "promotion of homosexuality. Madonna has responded to her August 9th concert and told her guest that she was "here to say that the gay community and gay people here and all around the world have the same rights to be treated with dignity, with respect, with tolerance, with compassion, with love." 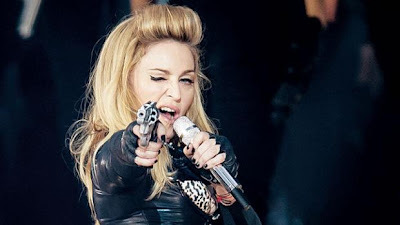 This is not the first time Madonna brushed with controversy during her MDNA international tour. Her concert in Paris sparked outrage when she showed a video depicting the leader of the far-right National Front party. This entry was posted on 5:32 PM and is filed under Madonna . You can follow any responses to this entry through the RSS 2.0 feed. You can leave a response, or trackback from your own site.